As we are now in our 15th year of success and continual growth, it shows that DynamicsPact works for both our members (the world’s best Microsoft D365 FO Partners) and their customers. Key to that are the strong relationships between our members. 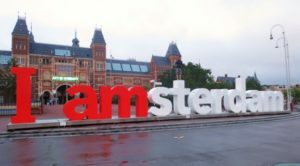 On March 27TH DynamicsPact held its annual CEO Summit in Amsterdam. It seems amazing that this was our 14th CEO get together, and it was great to welcome our D365 business leaders from all over the globe. 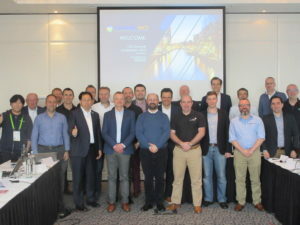 This annual summit enables our CEOs to catch up with their peers and share experience and knowledge in the world of being a Microsoft Dynamics Partner with the aim of helping each other get better. We also continually look to improve and develop the way we work together in competing and delivering large, international, multi-site D365 FO projects to our clients. 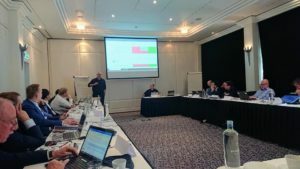 First up, we had a quick ‘around the table intro’ for each delegate to say how they were doing in the brave new world of D365 FO, more specifically we asked, ‘How many live D365 FO customers do you currently have? 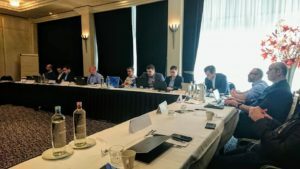 We wanted to see how things had moved on from last year’s CEO Summit when the transition from on-premise to cloud was top of the agenda. The one thing we confirmed last year was that it was going only one way, and therefore it was key to embrace D365 and adapt. The response showed that DynamicsPact had fully embraced a new way of doing ERP! From less than 20 D365 FO projects between us in Spring 2018, we were now involved in delivering over 300 D365 FO projects! We had a packed agenda for the rest of the day with presentations from our Chairman, Michael Blatherwick, prompting discussion around key topics on product, delivery and working with Microsoft. Adam Seaton, Managing Director of Seaton Partners, our newest member, gave an insight into how they had adapted their approach to supporting D365 clients with his presentation entitled ‘Managed Services Reborn.’ He shared the different ways in which Seaton Partners had evolved their service model to meet the needs of their customers in the cloud environment. This was followed by a presentation by Ian Mac Herlevsen from Prodware, who have been an ever-present part of DynamicsPact since we formed in 2004. Ian is also a member of our Management Committee and is Vice President of Prodware, our member for France, Israel and Spain. He was as engaging as ever and provided some real thought provocation around topics such as industry focus and how to better engage with Microsoft. As we are now in our 15th year of success and continual growth, it shows that DynamicsPact works for both our members (the world’s best Microsoft D365 FO Partners) and their customers. Key to that are the strong relationships between our members. These relationships are of course serious when we are working together but there is also value in getting to know each other socially. We find this really underpins the trust and way we work with each other. Over the years, we have enjoyed some great social occasions from wine tasting in South Africa to golf in Slovenia…. there really are so many great memories. Of course, we have also had some great dinners and as usual it was great to finish of a productive couple of days with a fantastic meal and some nice wine! 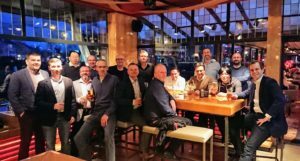 Here’s to another fantastic year at the forefront of D365 FO for international clients who want their project delivering by the best in the business!